We’re one step closer to a Broadway diva belting the chronicles of cerulean. 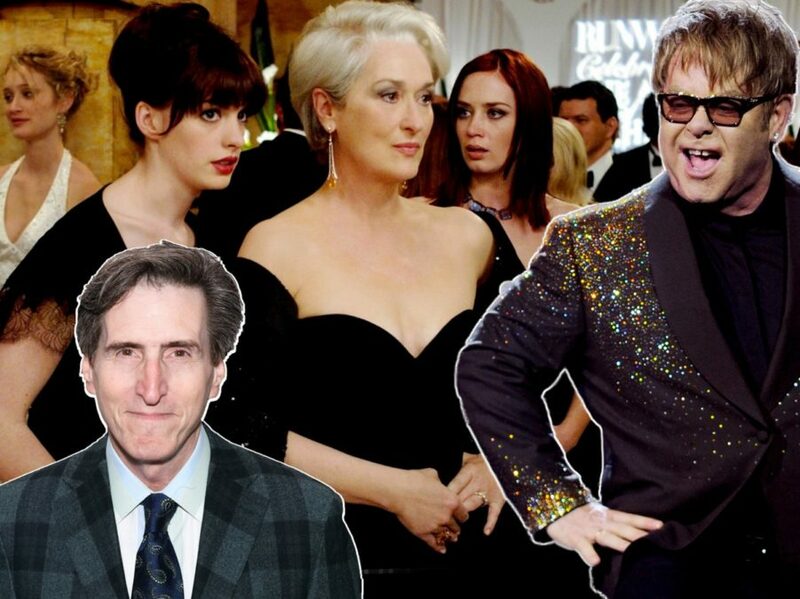 Elton John and playwright/essayist Paul Rudnick are at work to bring The Devils Wears Prada to the stage. The two will pen a Broadway musical adaptation of Lauren Weisberger’s 2003 novel and the subsequent 2006 film from 20th Century Fox. “Re-imagining The Devil Wears Prada for the musical theater is super exciting,” John, whose previous Broadway musicals include Aida, The Lion King and Billy Elliot, said in a statement. “I'm a huge fan of both the book and the feature film, and a huge aficionado of the fashion world. I can't wait to sink my musical teeth into this hunk of popular culture." Like the novel and movie, the show will follow aspiring writer Andy Sachs as she lands a job as an assistant to notorious Runway Editor-in-Chief Miranda Priestly. The new gig demands 15-hour workdays, an impossibly demanding list of chores, a demoralizing trip to Paris and an extensive makeover montage. Andy eventually finds her way and realizes that fashion is more than clothes and "this stuff," forcing her to determine her own set of morals in the merciless industry. The Meryl Streep and Anne Hathaway film brought Streep her 14th Oscar nomination and an additional nod to legendary costume designer Patricia Field. Several unauthorized stage adaptations and musical parodies from camp aficionados have sprung up since, including one borrowing from Evita and one featuring Marla Mindelle singing “Wrecking Ball” on crutches. A timeline for the production, which is being produced by Kevin McCollum, Fox Stage Productions and Rocket Entertainment, will be announced at a later date. Plans for a musical adaptation were first reported in 2015. No word yet on casting, but that didn’t stop you from letting us know your top picks for the iconic role of Miranda Priestly at the time. Christine Baranski, are you in?